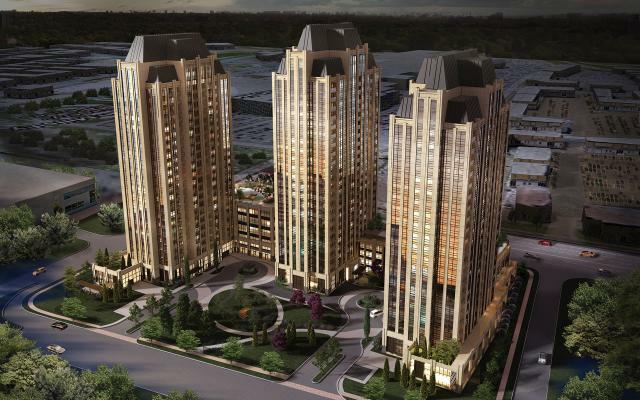 Park Ave Place is a 23 and 20 Storey luxury condominium residence located in the heart of Vaughan near the Vaughan mills shopping centre. Boasting over 280 units per building, complete with multiple amenity areas including, theatre room, fitness center, reading room, games room, 24 hour concierge, etc... Both buildings include a 6 storey podium.